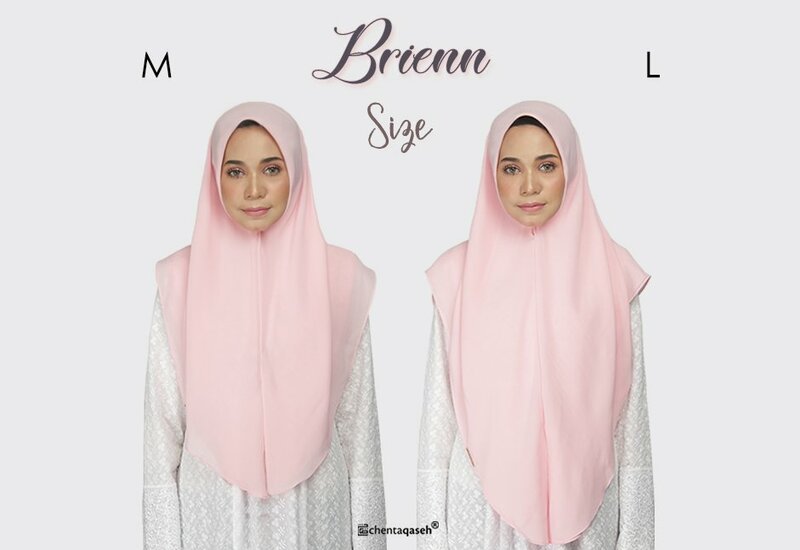 BRIENN BAWAL INSTANT IS OUR LATEST INNOVATION OF TUDUNG SARUNG SPECIALLY CRAFTED FOR OUR CUSTOMERS! BRIENN IS A PERFECT COMBINATION OF TUDUNG SARUNG AND BAWAL. BRIENN IS CRAFTED FROM PREMIUM QUALITI OF CHIFFON SAKURA. IT IS SLIGHTLY TEXTURED, BREATHABLE, LIGHTWEIGHT, COMFORTABLE AND HANG BEAUTIFULLY. THE ROLLED HEM STITCHES DONE ARE TREMENDOUSLY NEAT WITH OUR TOP-NOTCH WORKMANSHIP QUALITY. ALSO EASILY SHAPED, TOTALLY OPAQUE AND NO INNER NECK NEEDED TO COVER UP YOUR NECK. SUITABLE FOR THOSE WHO LOVE SIMPLE YET ELEGANT APPEARANCE.